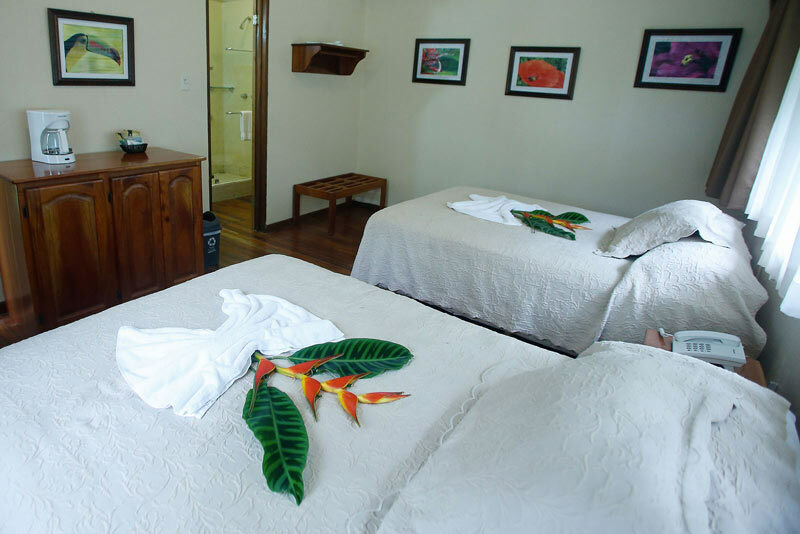 Our seven rainforest bungalows offer air conditioning as well as ceiling fans and screened windows. 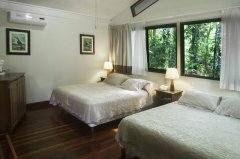 Discreetly tucked into the forest uphill from the botanical garden, they are across the road from the River Lodge and public areas. 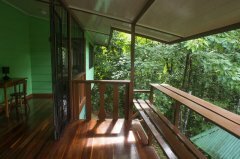 The secluded location affords a peaceful ambiance for relaxing and keeping an eye out for wandering wildlife. The bungalows are great for honeymooners and those desiring a little extra comfort and privacy while experiencing the wonder of the rainforest. The 10-15 minute walk from the reception area is along a lit and almost completely covered walkway making a very enjoyable, scenic walk via the botanical garden and secondary forest trails. In addition, our Costa Rica eco lodge has vehicle support for luggage transfers and other times when walking would not be advantageous.